Professor Harry Keen MD, FRCP, CBE, died on 5 April 2013 at the age of 87 years. His contributions to diabetes research, practice and policy are a roll-call of many of the most important advances in this field over the last 50 years, but he was also the most remarkable, kind, generous and inspirational friend, colleague and doctor that most of us have had the privilege to meet, work with or be treated by. He served, held office in or was honoured by most of the diabetes organisations throughout the world, including the EASD, International Diabetes Federation (IDF), British Diabetic Association, Diabetes UK, ADA and WHO. He was a legendary champion of the National Health Service (NHS) in the UK and founder of the NHS Support Federation, tirelessly opposing what he considered unwelcome or even illegal reforms and holding the Government to account. He was a master of the diabetic bon mot; many Keenisms like ‘normoglycaemic re-entry’  and ‘the patient, a collaborator and not a victim’ have gone down in history. He was, in short, one of the foremost diabetologists of his generation, universally held in the highest regard and with the greatest affection. Harry Keen was born in London and attended Ealing County School for Boys, where he was a gifted swimmer, being Schoolboy Champion of London. He decided at an early stage to study medicine and relished his training at St Mary’s Hospital Medical School in London, where there was a notably scientific approach to medicine. Harry was much influenced during his medical student days by the clinician–scientist George Pickering, with whom he was to do research when he returned to St Mary’s after qualification (1948) and service in the Royal Army Medical Corps. It was thanks to George Pickering, whose main interest was in fact hypertension, that Harry developed a career in diabetes. For a number of years Harry did the ‘legwork’, as he called it, on Pickering’s project to record the blood pressure of all diabetic patients in the clinic at St Mary’s and their first-degree relatives. Because there were insufficient numbers of young patients with ‘insulin-dependent diabetes’ in Pickering’s clinic, arrangements were made for the young Keen to collaborate with and become a clinical assistant to the famous R. D. Lawrence, consultant-in-charge of the Diabetes Clinic at King’s College Hospital in London, who had diabetes himself and was an early user of insulin. It was during the seven years (from 1953) with Lawrence that Harry learnt the clinical practice of diabetes and the importance of the long-term diabetes complications that were then just emerging as problems not solved by the introduction of insulin. After an International Postdoctoral Research Fellowship at the National Institutes of Health (NIH) in Bethesda, MD, USA in 1960–1961—‘like going to fairy land’, he said—Harry began his career-long association with the Department of Medicine at Guy’s Hospital and its Medical School in London, which was to be the base for his research and clinical activities until retirement. From appointment in 1961, he was promoted from lecturer to senior lecturer, reader and, in 1971, Professor of Human Metabolism and Head of the Unit for Metabolic Medicine. He retired from Guy’s in 1990 and became Professor Emeritus at King’s College London (to which Guy’s was by that time attached). He was also appointed Honorary Professor at the University of Warwick in 2005. Harry Keen’s numerous and outstanding contributions to diabetes research and practice whilst he was at Guy’s Hospital ranged from some of the first epidemiological studies in diabetes, to the discovery of microalbuminuria, the organisation of the WHO Multinational Study of Vascular Disease in Diabetes, the invention of insulin pump therapy, Chairmanship of the WHO Expert Committee on Diabetes, which formulated new diagnostic criteria for diabetes, and the first studies of recombinant human insulin in man. At the time I joined Harry in the mid 1970s, he was setting up at Guy’s one of the first diabetes centres in the UK, a concept that was to be quickly taken up by many centres throughout the country. He believed that the diabetes specialist nurse, who was then emerging as the key member of the multidisciplinary team of a diabetes centre, was arguably the most important advance for the patient since the discovery of insulin. His research contributions are too numerous to describe in any detail. One must mention a few, however, including the ground-breaking Bedford Survey (beginning in 1962) which was Harry’s first project at Guy’s Hospital, planned with his new chief, John Butterfield, and Clive Sharp, the Medical Officer of Health of the town of Bedford in the UK . The intent of the study was to survey the frequency of undiagnosed diabetes by persuading every person in this town of some 40,000 people to leave a urine sample on their doorstep over one weekend (about 73% did). Oral glucose tolerance tests (using 50 g of glucose in those days) were carried out in people with glycosuria and in a random sample, and it was found that many people with glycosuria did not have diabetes and many with clear diabetes did not have glycosuria—a truth we now take for granted: urine testing cannot be used to diagnose diabetes . Furthermore, a large number of people had a marginal elevation of blood glucose that was not easily labelled as diabetic or non-diabetic. This was the category Harry and colleagues called ‘borderline diabetes’, which they found was associated, like frank diabetes, with an increased risk of cardiovascular disease—this being the first identification of what we now call impaired glucose tolerance (IGT). 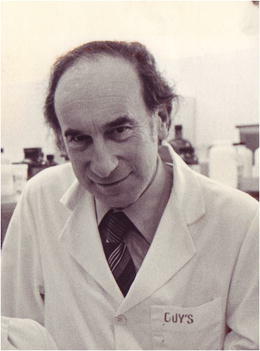 At this time in the 1960s, Harry was inspired by the new technique of radioimmunoassay which Nick Hales and Philip Randle had used to assay small amounts of insulin. With Costis Chlouverarkis, he devised (in 1963) the first radioimmunoassay for small concentrations of urinary albumin, microalbuminuria, now internationally recognised as an indicator of early diabetic renal disease . With Giancarlo Viberti and colleagues, the group later went on to show that elevated microalbuminuria in diabetes was indeed a risk factor for the later development of clinical proteinuria and early death . The tissue complications associated with diabetes were an interest for Harry for most of his career; his 1975 book (2nd edition 1982) on this topic, edited with his long-time epidemiology collaborator and friend, John Jarrett, is still a wonderful read . 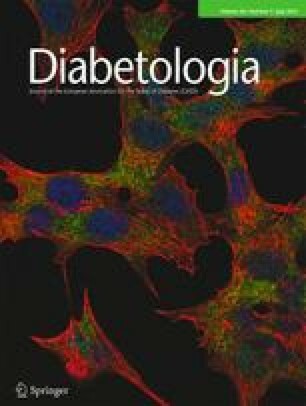 In the 1970s, there was still some dispute on whether diabetic tissue complications are caused by the diabetic process (probably hyperglycaemia) or run in parallel with it. Harry reasoned that one might be able to test the theory that complications are caused by poor glycaemic control if only one could achieve and maintain long periods of near-normoglycaemia, impossible with insulin injection regimens of the time. He had learnt from R. D. Lawrence that multiple small injections of short-acting insulin seem to achieve the best blood glucose control, and some intriguing studies from Gérard Slama and George Tchobroutsky in Paris, reported in 1974 , showed that a few days of intravenous insulin infusion using a pump carried in a shoulder bag produced excellent control. He therefore arrived at the notion of using variable-rate subcutaneous insulin infusion to avoid the problems of prolonged intravenous insulin delivery and thereby to maintain strict glycaemic control in type 1 diabetes. George Alberti told him that John Parsons at the National Institute for Medical Research in Mill Hill, London, had a portable pump that was being used to infuse parathyroid hormone into rats. Perhaps, Harry wondered, this could be adapted for insulin infusion in diabetic patients. After a first test on the ward with a large pump, I was lucky enough to be the young doctor taken on by Harry to develop what we soon named ‘continuous subcutaneous insulin infusion’, or CSII, as a feasible long-term intensified insulin treatment —first as an experimental procedure and then as a routine treatment for selected patients with type 1 diabetes. In the early 1980s, Harry was approached to supervise, at Guy’s Hospital, the first testing in man of human insulin made by recombinant DNA technology—in fact the first testing of any rDNA protein in humans. Harry thought it appropriate that he should be the first to receive this new genetically engineered insulin; although there was of course no reason to think that there would be any adverse effect, we were all slightly apprehensive as he was given a test skin injection and then an intravenous infusion of the insulin . Amongst Harry’s most important policy achievements was, and still is, the St Vincent Declaration , where he was the prime mover. With the support of WHO and IDF Europe, diabetes experts met in the small Italian village of St Vincent in 1989, together with representatives of all the European government health departments and patient organisations, with the task of persuading governments to recognise the problems of diabetes and its complications, allocate resources and set goals and targets for diabetes care in the coming years. The St Vincent Declaration is widely regarded as having fostered most of the national action plans for diabetes that are now in place. Harry Keen’s many positions and honours include Founder and President of the NHS Support Federation; Chairman, WHO Expert Committee on Diabetes (1980, 1985); British Diabetic Association Banting Memorial Award (1984); EASD Claude Bernard Lecturer (1987); ADA Kelly M West Award (1989); Honorary President of the International Diabetes Federation (1991); ADA Harold Rifkin Award for Distinguished International Service in the Cause of Diabetes (1992); Commander of the British Empire (1998); UN/UNESCO Hellmut Mehnert Award for Prevention of Diabetes and Complications (1998); Chair, British Diabetic Association (1990–96); Diabetes UK Arnold Bloom Award (2001); Vice President, Diabetes UK; and Honorary Member of EASD. Harry married Nan Miliband in 1953 and she survives him with their two children, Michael and Judith. Harry Keen was an innovative thinker, outstanding scientist, deeply caring clinician and energetic and committed campaigner for the best diabetes care and the health service in general. He was an inspirational teacher and trainer of a generation of clinician–scientists who have worked or are working in diabetes. His academic eminence and fame contrasted with, or one should really say were matched by, a totally ‘unprofessorial’ demeanour: completely approachable, he was the confidant, advisor and friend of patient, student, doctor, nurse and all who met him. We will miss him hugely.